Canada has a robust system of trademark enforcement, with several available causes of action for an aggrieved owner. Canada’s Trademarks Act provides for the registration of trademarks and the enforcement of registered and unregistered rights. Common law rights accrue to owners of unregistered trademarks that are used in Canada. Under the common law, these rights are limited to the geographic area where the trademark has been used. Common law rights alone can form the foundation of an infringement claim known as passing off. descriptions of goods that are materially false and mislead the public as to their character, geographic origin or mode of manufacture. A plaintiff can also sue for depreciation of goodwill, but only with respect to a registered trademark. The Competition Act prohibits promoting a product by making a representation that is false or misleading in a material respect. This provision is typically asserted in conjunction with other causes of action under the Trademarks Act. There are Criminal Code provisions relating to the forgery of trademarks; however, breach of the Criminal Code is litigated in a criminal court and not in a civil case. Proceedings for trademark infringement, at least in the Federal Court, can proceed in one of two ways. The first is an action, which involves detailed pleadings, documentary and oral discovery and a trial with live witnesses. This process can take about two years. Alternatively, a plaintiff may proceed by way of application. An application is a summary procedure that involves more limited pleadings, affidavit evidence, cross-examination and a hearing on a paper record. An application can proceed from the originating document to a final determination in as little as eight months. In addition to timing, the application procedure can be beneficial where infringement is apparent or smaller dollar amounts are in issue. Actions are preferred where large dollar amounts are in issue and fact-finding through the discovery process is needed. To establish infringement of a registered trademark, the plaintiff must prove a likelihood of confusion, which generally means that the average consumer of the goods or services at issue would conclude that the goods and services of the defendant originated from or were authorised by the trademark owner. While the court may consider a wide range of factors in assessing the likelihood of confusion, resemblance in appearance, sound and idea suggested by the trademarks at issue is often the paramount consideration. Without resemblance, confusion is unlikely. was used in a manner that is likely to have the effect of depreciating the value of goodwill in that trademark. Each prong must be supported by evidence as opposed to inference. To establish statutory passing off, the plaintiff must prove goodwill in the trademark at issue, misrepresentation (based on confusion) and actual damage. Each prong must be supported by evidence as opposed to inference. Alternative dispute resolution (ADR) procedures are available to resolve trademark disputes. Private mediation and arbitration services are offered throughout Canada and may be employed if the parties agree, or if they are bound contractually to do so. In some jurisdictions in Canada, ADR may be required before an action can proceed to trial; the parties must first attempt to settle some or all issues through mediation offered by the court. The Federal Courts Rules encourage mediation by requiring that the parties discuss and be prepared to discuss the possibility of referring unsettled issues to a dispute resolution conference within 60 days of the close of pleadings, and at a mandatory pre-trial conference that takes place before a judicial officer. provincial/territorial superior courts, whose jurisdiction is limited to the individual provinces and territories of Canada. The subject-matter jurisdiction of the Federal Court is specific and conferred by the Federal Courts Act and other federal statutes such as the Trademarks Act. By contrast, the provincial superior courts are courts of general jurisdiction. The Federal Court of Canada and provincial superior courts have concurrent jurisdiction for most trademark disputes, including trademark infringement and passing off. Where a dispute is based on tortious activity, such as common law passing off, that does not involve a trademark (eg, a business name), only the provincial superior courts have jurisdiction to hear the matter. While the Federal Court of Canada and the provincial superior courts have concurrent jurisdiction for most trademark disputes, the Federal Court continues to hear the majority of these cases. The Federal Court’s popularity is driven by two strategic advantages: comprehensive remedies and national effect. Comprehensive remedies: Only the Federal Court has jurisdiction to invalidate and expunge trademarks. Orders of the Federal Court are made against the subject (ie, the trademark) and not just as between the parties. National effect: The Federal Court’s jurisdiction extends to all provinces and territories. This means that judgments of the Federal Court are enforceable across Canada. An order of a provincial superior court, by contrast, is enforceable only in that province. The benefit of the Federal Court’s national jurisdiction is obvious in cases that involve infringing activities in more than one province. In these circumstances, commencing a single proceeding in the Federal Court, rather than multiple proceedings in all relevant provincial courts, is the more efficient way of obtaining injunctive and monetary relief against the infringer. Trademark disputes in Canada are heard before a judge alone, without a jury. Juries do not exist in the Federal Court. Juries in the provincial superior courts are typically confined to criminal matters or limited types of civil disputes (eg, libel and personal injury matters). A successful plaintiff can elect between damages (its losses arising from the infringing sales) and an account and payment of the defendant’s profits. Damages are available as of right; profits are an equitable remedy that may be refused at the court’s discretion. If a plaintiff can prove that it would have made the sales otherwise made by the infringer, it will be awarded its profit margin on those sales. Other circumstances attract a reasonable royalty. Proving damages can be difficult where the defendant refuses to participate in the litigation, which is common in counterfeiting cases. In such circumstances, the Federal Court has adopted an informal scale for the quantification of damages. The current amount for a distributor is C$30,000. This amount is for a single instance of infringement and can be separately awarded for each turnover of inventory. Even if this scale is not used, the Federal Court has been clear that difficulty in assessing damages does not mean that they will not be awarded. Punitive damages may be awarded; however, a punitive award based on intentional infringement alone is rare. Courts have awarded punitive damages, especially in counterfeiting cases, where the defendant has refused to participate in the litigation or disregarded orders and directions of the court. A successful plaintiff will be awarded part of its costs, which include both fees paid to lawyers and disbursements (eg, court reporters, experts). In the Federal Court, recovery has historically been modest – usually between 20% and 40% of the amount spent on fees, in addition to reasonable disbursements. This may change as the court is considering updating its costs regime. The provincial courts typically award more substantial costs. Pre and post-judgment interest is awarded. The balance of convenience rests with the plaintiff. Most interlocutory injunction motions fail as a result of an inability to establish irreparable harm. Courts have interpreted this part of the test to require demonstration of harm that cannot be compensated by a payment of money. However, recent authorities suggest that the Federal Court may be more willing to grant interlocutory injunctions and relax the ‘irreparable harm’ test. Permanent injunctions after a full hearing are almost always granted. An order compelling the defendant to deliver up all infringing merchandise to the plaintiff will generally be granted as a matter of course. The court also has the discretion to order that equipment used to produce the infringing goods, packaging, labels or advertising material be destroyed. Uses of similar trademarks by third parties, or a lack thereof, can weaken or strengthen a brand owner’s case. That Canada is a first-to-use jurisdiction means that the first party to use its mark will have rights to its use over those of a subsequent user of a confusingly similar mark, even if the subsequent user’s mark is registered. Therefore, to determine rights it is critical to any trademark dispute to assess the first use dates and scope of use of each party. Use is central to the maintenance of trademark rights in Canada. Therefore, a brand owner should, before asserting its trademark rights, investigate and review its own use of relevant marks to ensure that its rights are not vulnerable to counter-attacks based on non-use. Third-party uses of similar marks in the marketplace can narrow the ambit of protection of a brand owner’s mark. Therefore, it is important for brand owners to conduct routine market investigations to monitor and police third-party uses. This is no less important before commencing litigation against a potential infringer, because asserting a weak mark in aggressive litigation may result in counter-attacks and unfavourable decisions that would be detrimental to future enforcement efforts. Investigations should be conducted before commencing litigation and again during litigation, because different issues may be assessed as of different relevant dates, potentially leading to different results. Litigants in trademark disputes need not expend extensive resources to file consumer survey evidence on the issue of confusion. The Supreme Court of Canada has stated that survey and expert evidence should be admitted sparingly, and only when it is beyond the experience of the court to decide on issues of confusion. This means that a brand owner now may encounter fewer economic obstacles before pursuing infringers in Canada. experts in a particular industry commenting on whether a mark/word is common to a trade (relevant to clear descriptiveness). When assessing the suitability of potential expert witnesses, it is important to ascertain that they had the relevant expertise as of the relevant date. The plaintiff bears the burden of proving infringement, passing off and depreciation of goodwill on a balance of probabilities. A defendant can therefore defend, in each case, against each cause of action on the basis either that the plaintiff has not met its burden of proof, or that the defendant has marshalled sufficient evidence to the contrary. Where the plaintiff fails to meet its burden on any prong of the tests applied to passing off or depreciation of goodwill, the defendant will prevail. In infringement and passing-off actions, the most common defence is absence of likelihood of confusion. In infringement proceedings, as long as the use in question does not depreciate the goodwill attached to the registrant’s marks, use of a personal name as a trade name and use of the geographical name of a place of business or of any accurate description of the character or quality of goods or devices are also defences; as is mere use of a utilitarian feature embodied in a trademark. A defendant can also defeat allegations of trademark infringement, passing off and depreciation of goodwill by alleging, by way of defence or in a counterclaim, that the asserted trademark is invalid. The burden of proving invalidity on a balance of probabilities rests with the defendant. A defendant can defeat a passing-off case involving an unregistered sign by proving that the sign in question is not a trademark. The grounds on which the defendant can argue that a trademark was not registrable mirror those that establish registrability. A defendant can argue that the trademark does not distinguish the goods and services in association with which it is used by its owner from the goods and services of others. This ground is assessed as of the date of the litigation. Only in rare cases can the defendant’s own infringing sales be used to support a claim of loss of distinctiveness. A trademark that has been abandoned with intention is invalid. A prior trademark user has senior rights. A registered trademark can thus be invalidated on the basis of prior use of a confusing trademark, upon the application by the earlier mark user, but only if that earlier mark had not been abandoned on the date that the registered trademark was advertised. A trademark registration can be expunged on the basis that the application was defective – for example, because the first use date or proposed use claim was false or its subject matter did not qualify as a trademark. Registrations that are five years and older cannot be contested on the basis of prior use, without proof that the registered user adopted the mark with knowledge of the prior use. All decisions of the registrar of trademarks may be appealed, as of right, to the Federal Court of Canada within two months of the date on which the decision was dispatched. These include appeals of refusals to register a trademark, cancellation of a trademark and decisions in opposition proceedings (including the decision not to reject an opposition where it did not raise a substantial issue for decision). The appeal is effected by filing a notice of application with the registrar of the Federal Court of Canada. On appeal, additional evidence may be filed without leave, and the court may substitute its decision for the registrar’s decision, without deference if the new evidence is materially different from that before the registrar. If no new evidence is filed, the appeal is not a de novo hearing, as the original record before the registrar remains the record before the court. The decision will be set aside if it is demonstrably unreasonable. An appeal from an action or application heard by the Federal Court of Canada, at first instance or otherwise, is appealable as of right to the Federal Court of Appeal. The appellant must file, within 30 days of the pronouncement of judgment or determination appealed from, a notice of appeal setting out the grounds of appeal. Only with leave and in rare instances may additional evidence be filed on appeal. On issues of law, the Federal Court is not entitled to deference. The Federal Court of Appeal can overturn a finding of fact only if the Federal Court judge made a palpable and overriding error with respect to that finding. With leave, and only on issues of national importance, the losing party can appeal an order of the Federal Court of Appeal to the Supreme Court of Canada. 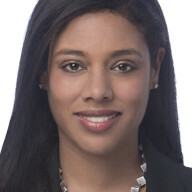 Dominique Hussey is the IP litigation practice group leader at Bennett Jones LLP. Her practice involves trademark, patent and copyright litigation and counselling, brand portfolio management and advice on marketing, labelling and regulatory matters. Ms Hussey is depended on to negotiate complex strategic settlements and corporate arrangements, with a view to reaching positive business and litigation outcomes. She was named one of Lexpert’s Rising Stars: Leading Lawyers Under 40 in 2012 and is recognised for IP litigation in Lexpert, the IAM Patent 1000, the WTR 1000, MIP IP Stars (and Top 250 Women) and Benchmark (IP). She is deeply involved in the IP and advocacy communities through committee work, leadership and teaching. She was previously an IP litigator in a busy New York practice. 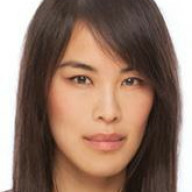 Jeilah Chan is an IP lawyer with diverse experience in litigation, advisory and transactional matters. Ms Chan acts for clients across various industries, including luxury goods, financial services, biotechnology, entertainment, food and retail. She provides strategic counsel on brand portfolio management, evolution, acquisition and enforcement matters. Her advisory practice extends to regulatory and advertising matters. She appears before the Federal Court, the Federal Court of Appeal, the Ontario Superior Court and the Trademarks Opposition Board. She maintains an active trademark opposition and cancellation practice. She is an advocate for her clients, whether asserting or defending their rights, and is experienced in negotiating and structuring settlements on their behalf. She is recognised by the WTR 1000 in the prosecution/strategy and enforcement/litigation categories and by MIP as an IP Star.